Merry Christmas from our family to yours! Did you know that Christmas has just begun? But, sadly our radio stations have stopped playing the Christmas songs and people are slowly taking down their decorations. :( But, the Christmas season lasts at least 12 days from Christmas Day to the Epiphany. 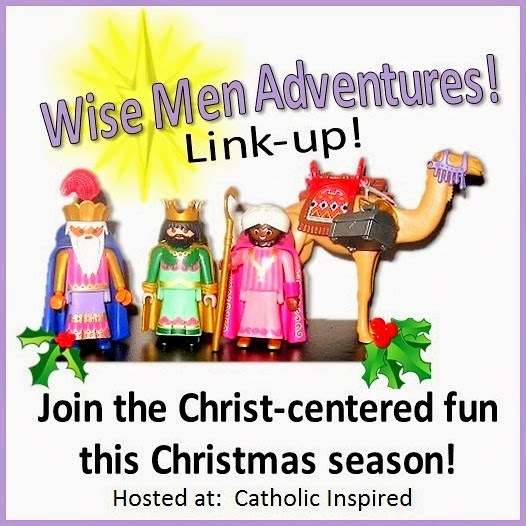 Our Wandering Wise Men continue their journey until the Epiphany so keep saying "Merry Christmas!" because this is a joyous season and not just one day! 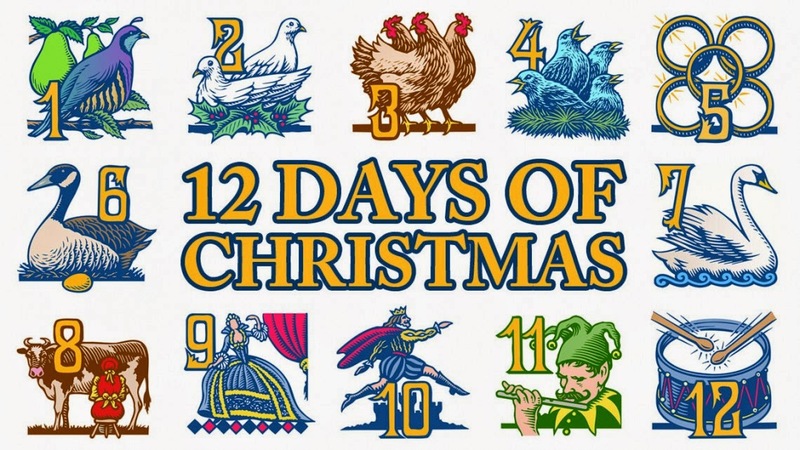 The song "The 12 Days of Christmas" is widely known and to be full of great meaning. I enjoyed reading this post that has new words to the song that has the tenets of our Catholic faith. 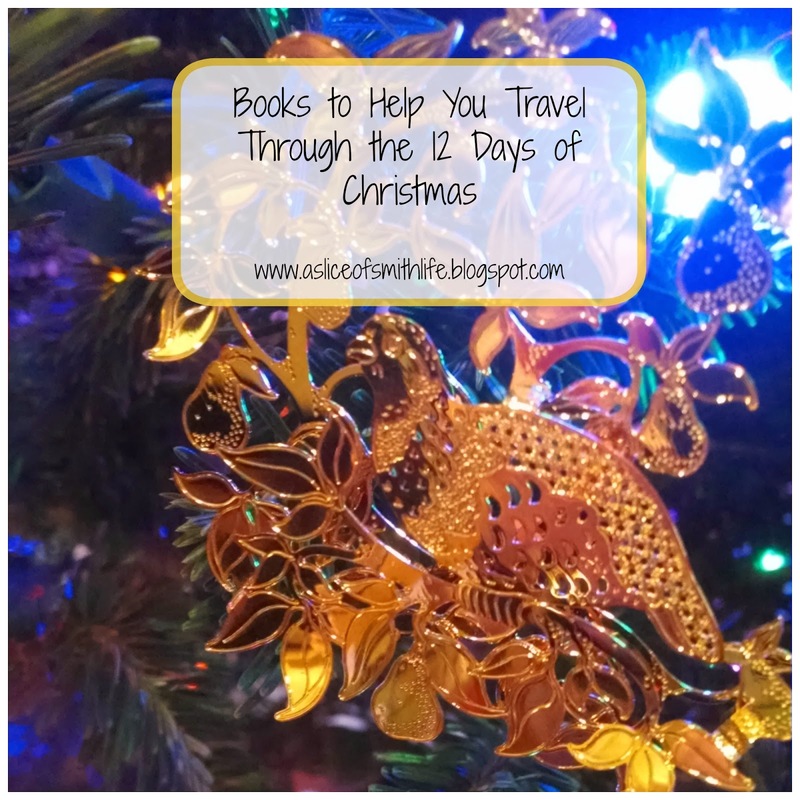 If you are looking for fun books to go along with the 12 days of Christmas theme and that teach geography of the United States, be sure to visit my post HERE. 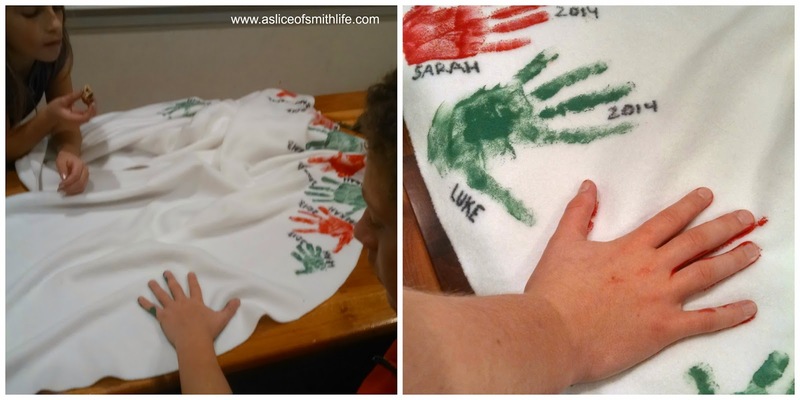 And if you are looking for great ways to celebrate the 12 days of Christmas go check out my friend, Tara's, post HERE at Blessings in Brelinskyville. 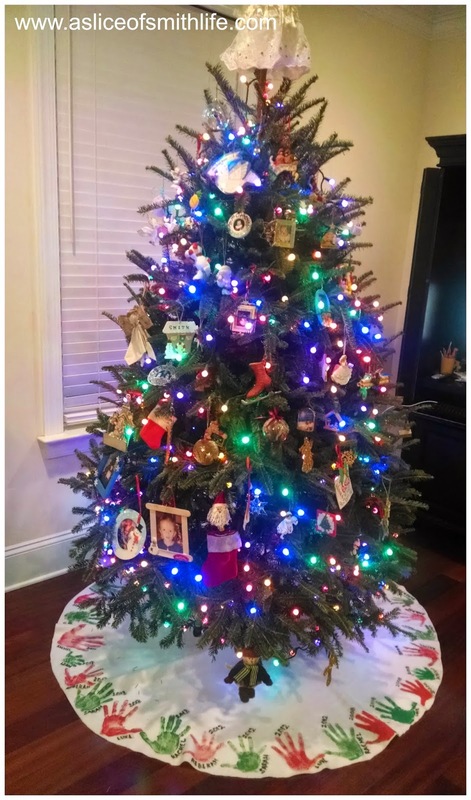 She lists 12 strategies for making the most of the 12 Days of Christmas. 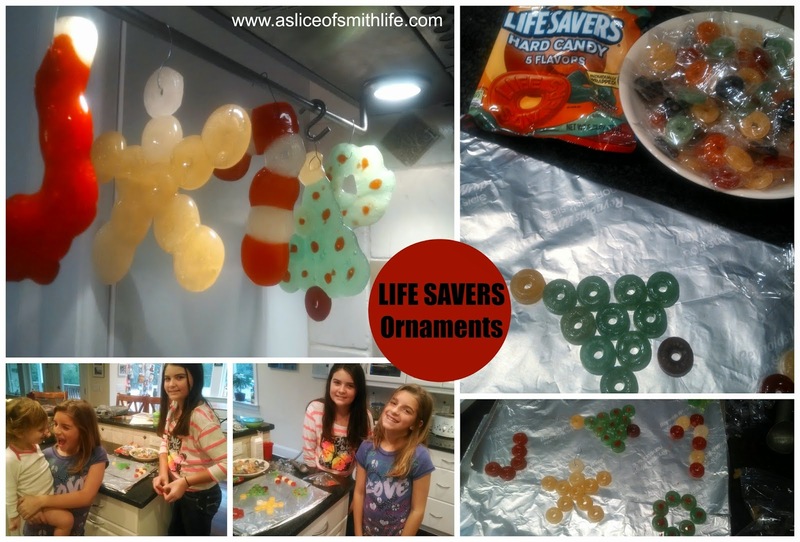 A few days before Christmas my daughter and her friend made Life Savers Ornaments which are easy and fun to do. The girls made a Stocking, Star, Candy Cane, Christmas Tree, and a Wreath. Then Christmas Eve came and my 7 year old daughter had a fever that day and the day prior so this is where the no fun part comes in. 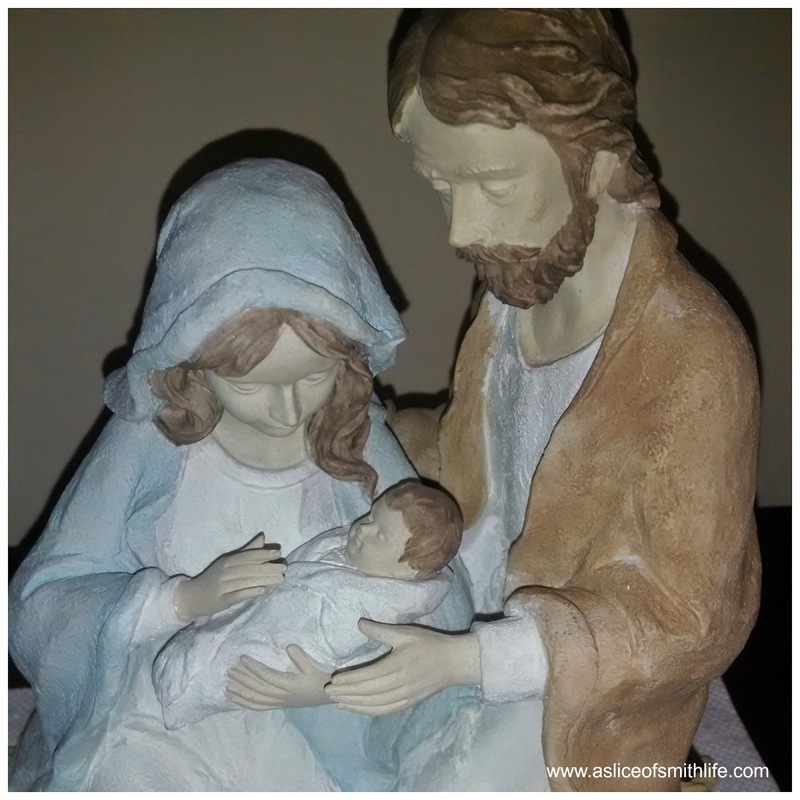 Our family couldn't attend Christmas Eve Mass at 4:00 PM together :( My husband (who wasn't feeling well either) stayed home with the baby and our sick daughter, while I went to Mass with my older 3 children. Our girls sang in the choir (and my daughter who was sick was disappointed she couldn't sing). 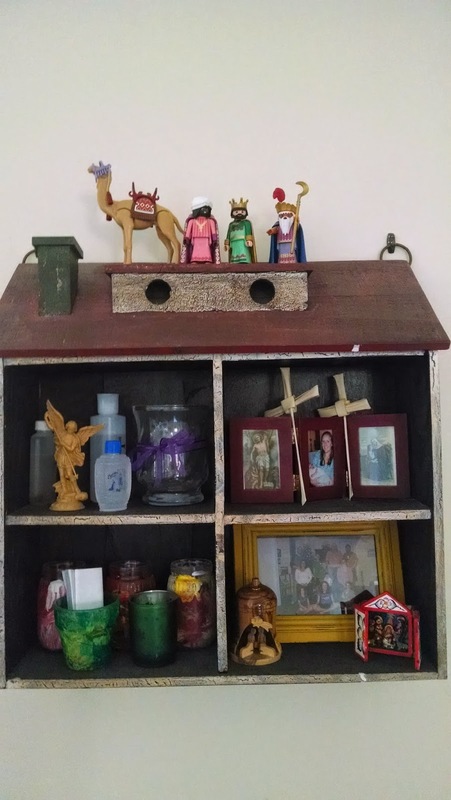 Then after Mass we went to my in-laws house while my husband and my sick daughter stayed home. 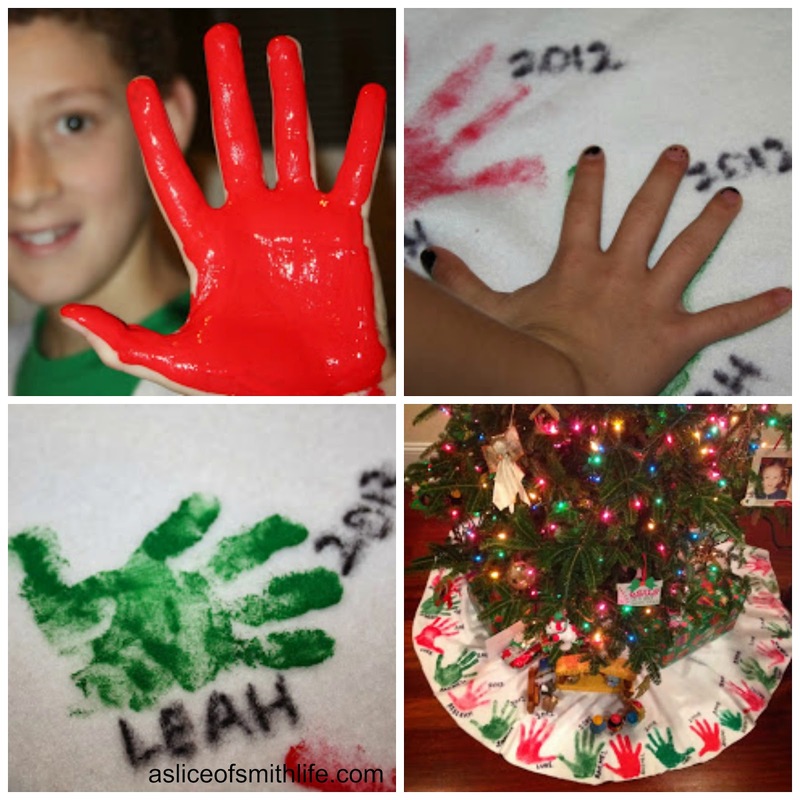 It's always no fun when there are sick children during Christmas, but I kept telling myself it's really no big deal compared to how much sorrow people experience during this holiday. 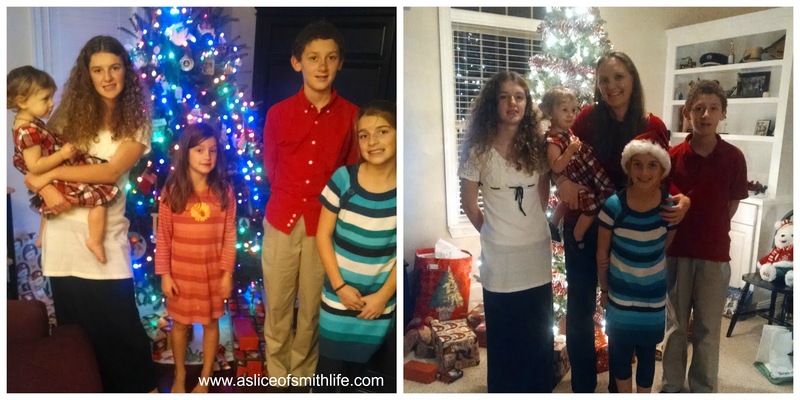 The picture on the left was taken just before we left for my in-laws house for Christmas Eve dinner. My daughter in the middle still had her pjs on. 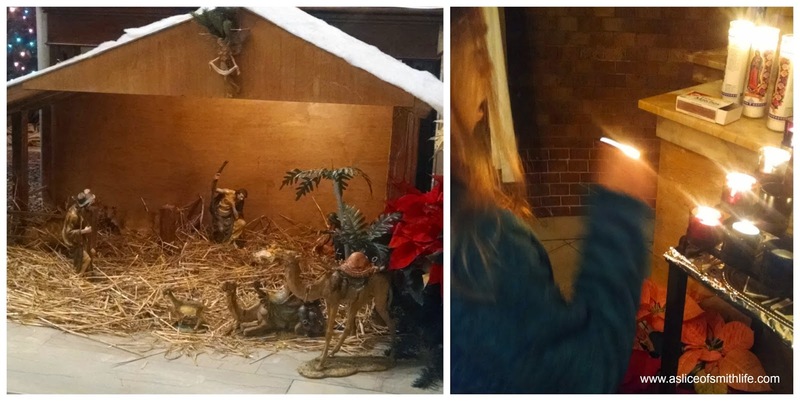 The picture on the right was taken at my in-laws house on Christmas Eve. On Christmas Eve at my in-laws we have dinner, open presents and then sing Christmas carols. 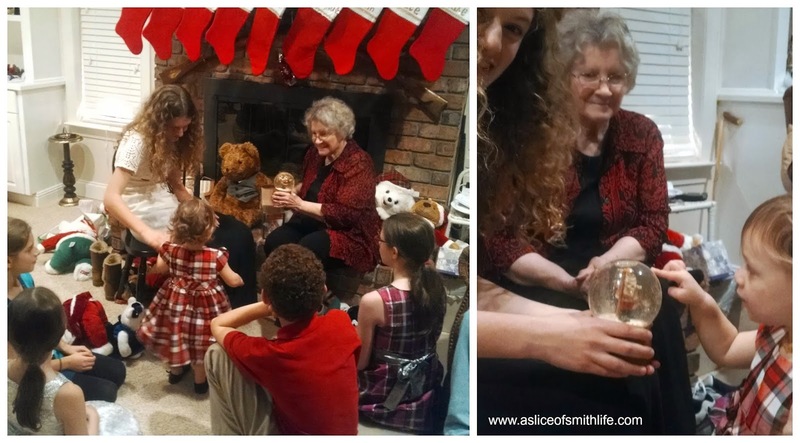 My mother-in-law also shows a snow globe to the grandchildren that belonged to her mother. My mother-in-law always explains how we remember all those that have passed away and how we keep them close to our hearts always, especially during this holy season. The globe then plays "Santa Claus is Coming to Town" and it's so nice to watch my children and their cousins listen to the globe and watch the snow fall in it. 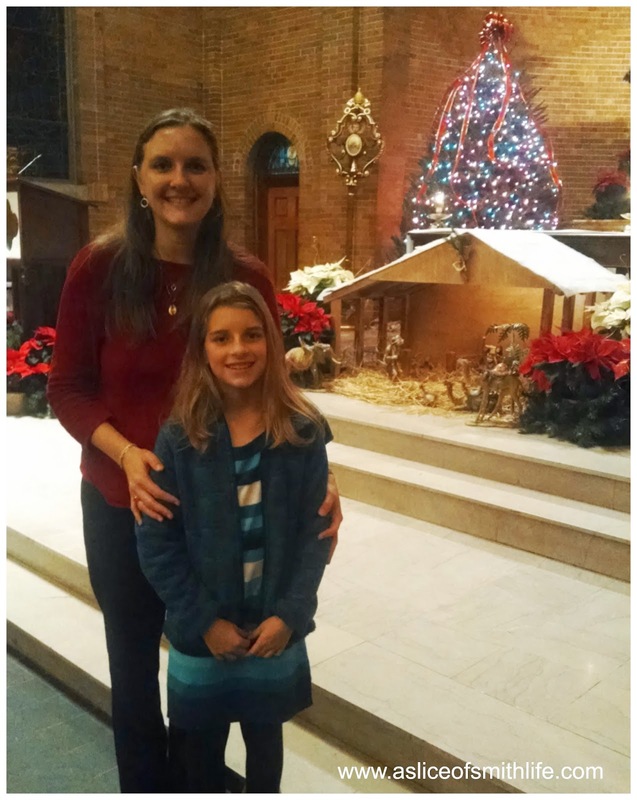 After we got home from my in-laws late Christmas Eve, my 10 year old daughter and I went to midnight Mass with my brother-in-law, nephew and niece. 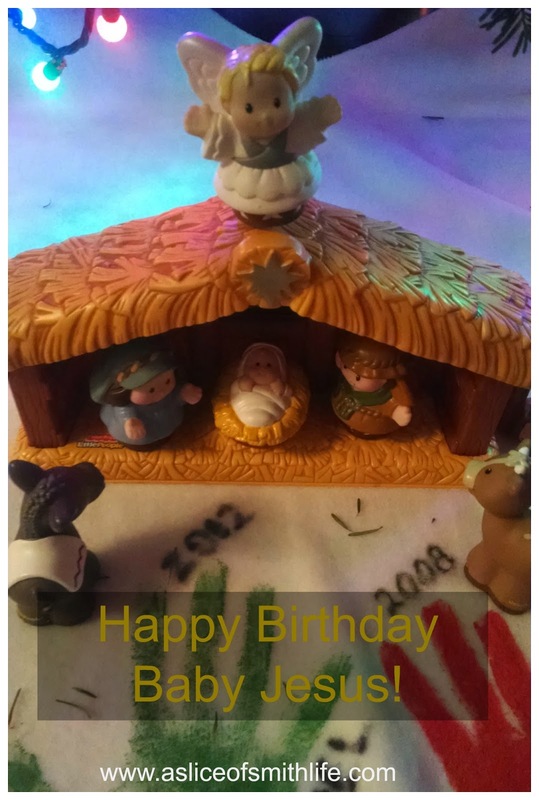 My brother-in-law and his family always go to midnight Mass each year at the same church my husband and I got married in on July 12, 1997, even though they are not Catholic, because they enjoy the beautiful singing and instruments. We lit a candle for Courtney and the entire Lenaburg family at Passionate Perseverance after Mass early Christmas morning. We have been thinking about Courtney and praying for her and her family continually. If you don't know about this special young girl with her incredible faith-filled family be sure to visit Passionate Perseverance. 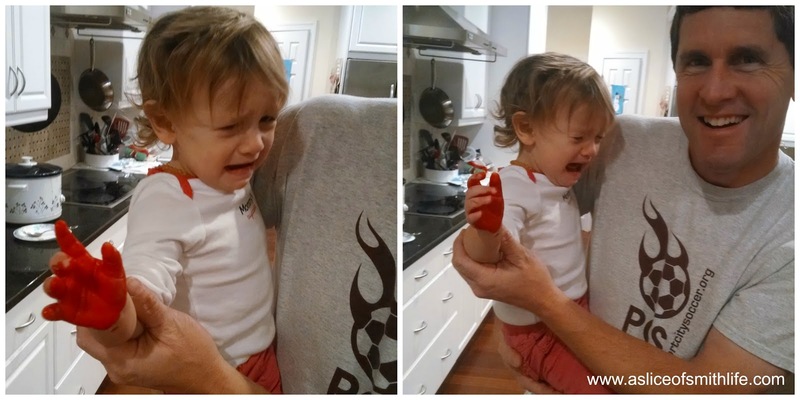 My daughter had fever. Yes, no fun and our family wasn't able to spend Christmas Eve together. But, I kept thinking about the Lenaburg family and so many others who are going through suffering like nothing I can imagine. Please keep the Lenaburgs in your prayers. Christmas morning brought the celebration of our Newborn King and my daughter was feeling better! We had a fun morning seeing the gifts under the tree and then our entire family was able to go back to my in-laws house for another dinner and family time. I loved that we were finally able to take a family picture together because I really did miss not being able to attend Mass together on Christmas Eve. Our 16 month old loves her PaPa (my father-in-law) and she loved relaxing in my in-laws teddy bear collection. 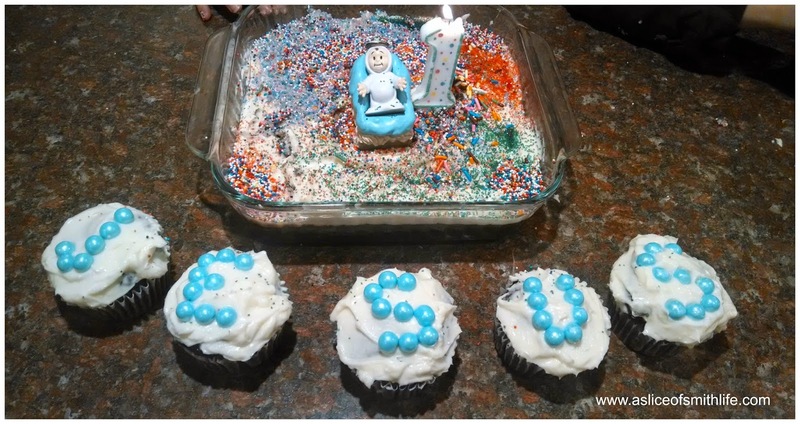 My kids and their cousins decorated our annual birthday cake for Jesus. 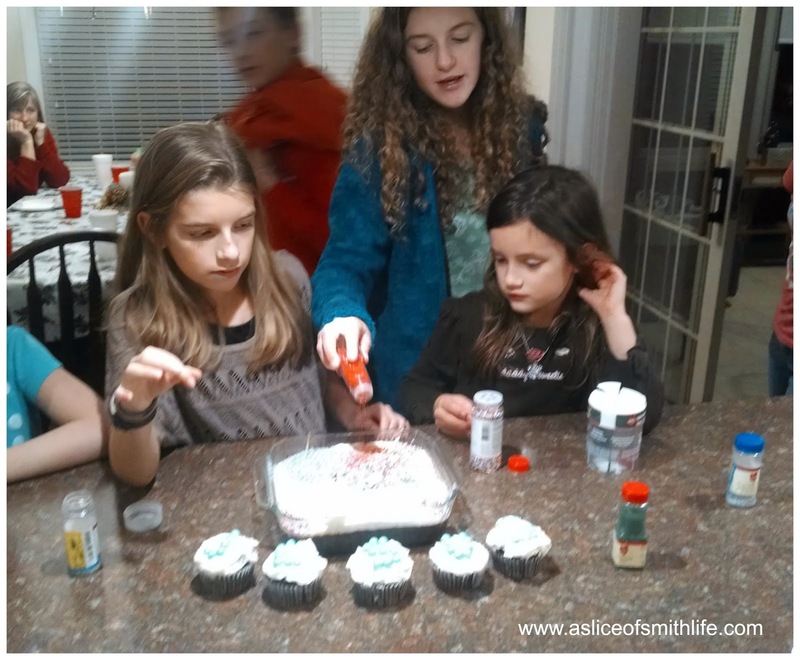 The kids decorate it with tons of sprinkles and a #1 candle is lit while we sing "Happy Birthday to Jesus" because He is the One we celebrate on Christmas Day! Glory to the Newborn King! May you continue to enjoy these 12 days of Christmas as we celebrate the birth of our Savior! FYI :) My blog here has been nominated in 2 categories for the 2014 Homeschool Blog Awards, which is exciting! 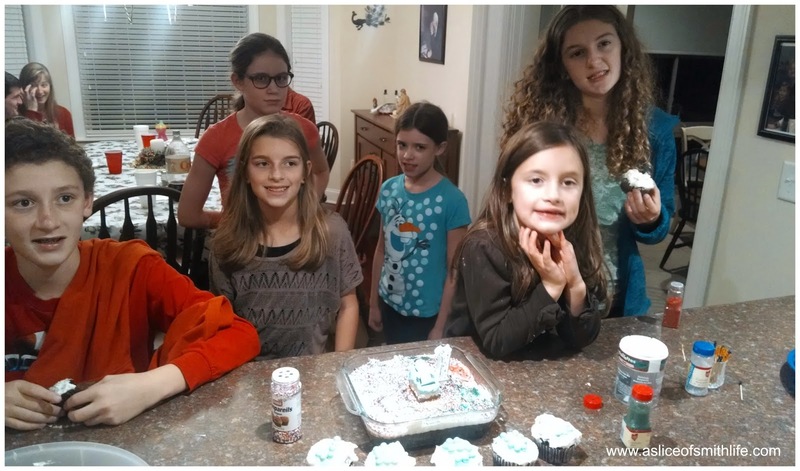 I was nominated in the Best Variety Blog and the Best Homeschool Mom Blog. If you feel my blog is worthy enough for both or either category, could you take a second to click on the links below and click the circle next to my blog name ( A Slice of Smith Life) Then click "Vote". You can vote once per day per device until 12/29. Thank you for your support and vote! The picture at St. Mary's is beautiful! 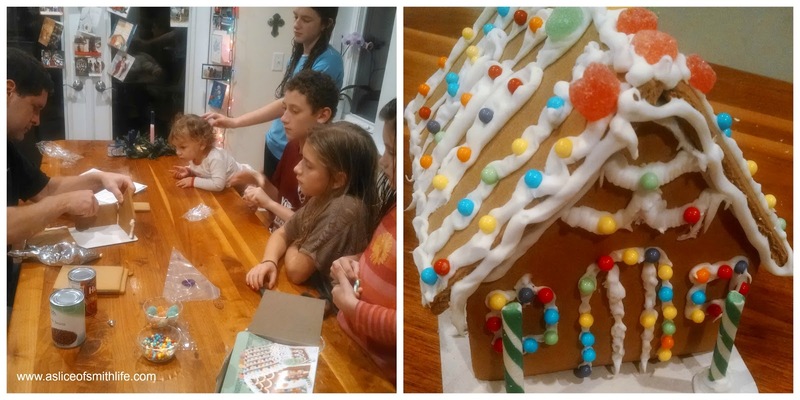 What a fun Christmas, even with the illness! Merry Christmas! Glad your daughter and husband are on the mend. I really like your mother-in-laws snow globe tradition. That's something everyone will remember for years to come and that simple object will be a treasure. Thanks also for sharing the update on Courtney. She surely got to spend her Christmas with Jesus. 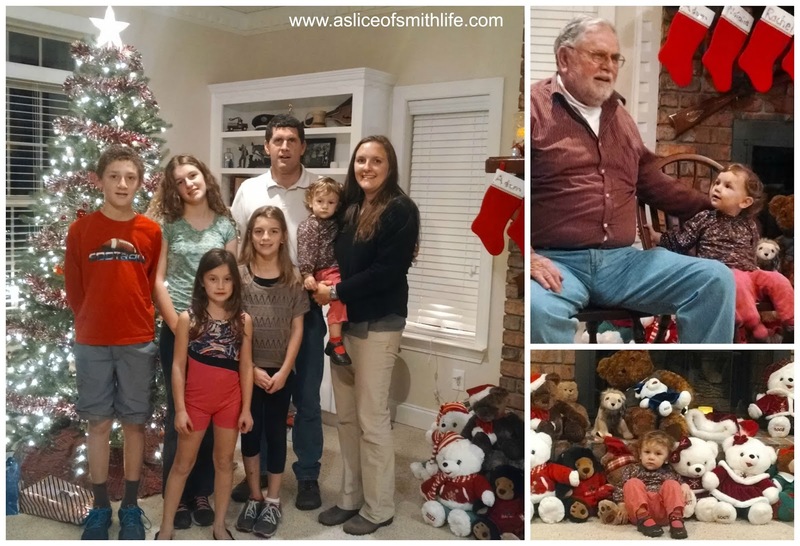 Merry Christmas to the whole Smith clan. Ah, I know the feeling having to go to the Christmas Eve Mass not as a complete family. My mom fell the Saturday before Christmas fracturing her lower spine as well as her ankle. 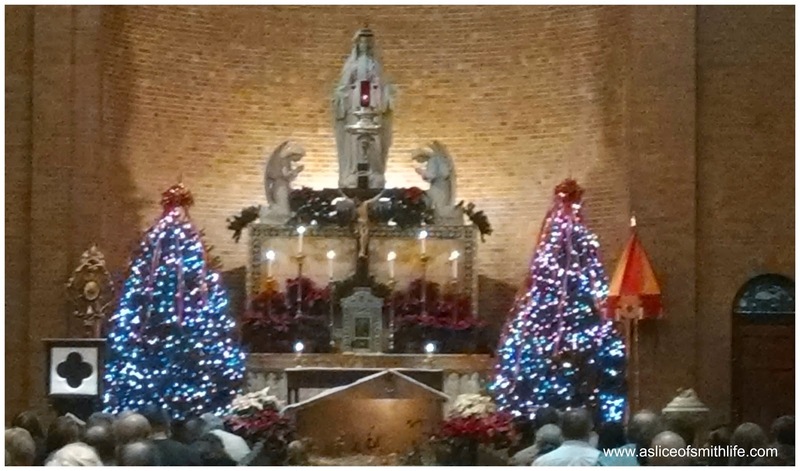 The hospital moved her to a rehab facility on Christmas Eve, so my husband accompanied her while we went to Mass... then the kids and I went to be with her while he went to Mass. But, as my 21-year-old daughter likes to say, "It was a first world problem." We are so blessed. And, of course, reading about Courtney puts things into perspective... hard to read without tearing up. Your posts are so valuable to those who share our faith but also to those who do not and are just visiting.